Human rights are understood as universal; in other words, they are regarded as valid throughout the world; as such, they should not be abbreviated nor subject to any particular cultural tradition. Given this objective, in 1948, the United Nations (UN) approved the Universal Declaration of Human Rights, followed by the legally binding documents, the International Covenant on Civil and Political Rights and the International Covenant on Economic, Social and Cultural Rights (both of these documents were signed in 1966). The vast majority of states have ratified these documents, although several associations have deemed it necessary either for ideological (e.g. Islam: Cairo Declaration on Human Rights in Islam 1990) or geographical reasons (e.g. African Convention of Human Rights 1981; Asian Declaration of Human Rights 1993) to enact their own documents (which refer to the United Nations Declaration). Since 1948 and 1966, the UN has published additional declarations and amendments and has thus considerably broadened the contextual range of its laws. This process (i.e. of amendments) also shows the need for the interpretation of rights and the need for the extension of these rights. Interpretation, by its very nature, includes evaluation; this means that some rights are given more and others less importance. This paper focusses at what happens on the individual level and assumes that what happens at the political level reflects reality at an individual level. Human rights are interpreted and reviewed by individuals. People will see “family resemblances” between some rights, while others will remain as separate rights. 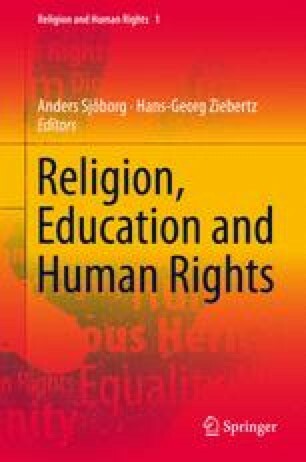 This situation is problematic for human rights education when it comes to justifying and defending the idea that all human rights are to be understood as egalitarian and indivisible. Bielefeldt, H. (2009). Menschenrechte: Universell gültig oder kulturell bedingt? In: http://www.justitia-et-pax.de/Bielefeldt.pdf (page from 10.1.2009), 7.